The Church from the beginning of the Order has called Dominicans to teach the Word of God and to emulate the Lord alone in seeking the good of souls. St. Dominic wished his followers to speak always to God or of God. By our profession of the vows of poverty, chastity, and obedience, we seek a life hidden with Christ in God, who first loved us. Out of this dedication comes our love of the world for its salvation and the upbuilding of the Church. 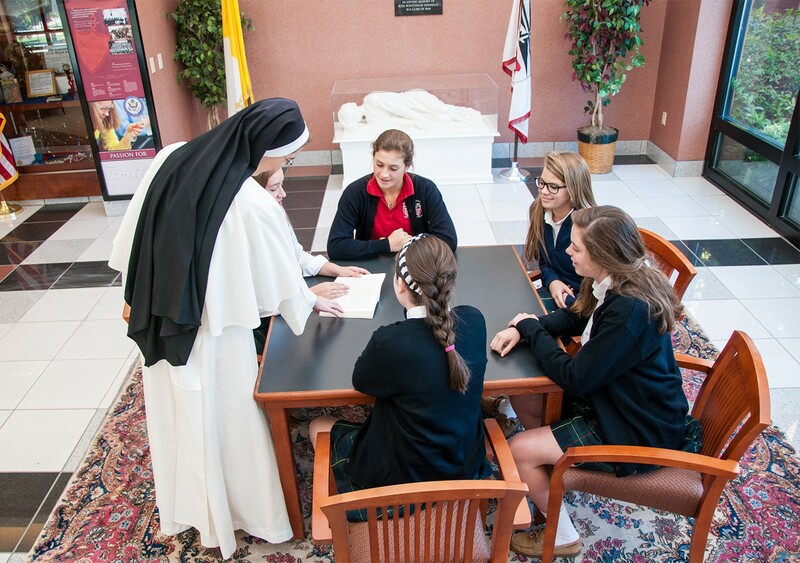 Our work of Christian education gives life and direction to the consecration we make. By our consecrated life we teach the way to holiness and joy. We long for a fidelity which is a testimony not unlike that of the virgin-martyr, St. Cecilia. For love of God and conquest of the kingdom of heaven, we desire to build up the body of Christ until we ourselves are transformed into His image. We live a way of life that calls for a contemplative spirit. We bring a message that has been shaped in the sanctuary, the choir, the cloister. For the follower of Jesus, the depth of this prayer and fidelity to it are the measure of spiritual soundness and apostolic vigor. 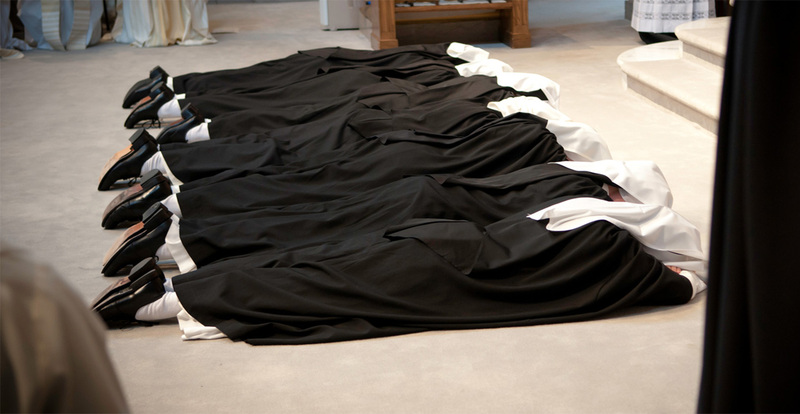 St. Dominic chose the common life as one of the principal means of achieving the purposes of the Order. Built on the three vows and inspired by the example of the early Church, our life in community prepares us for contemplation and for the service of others. 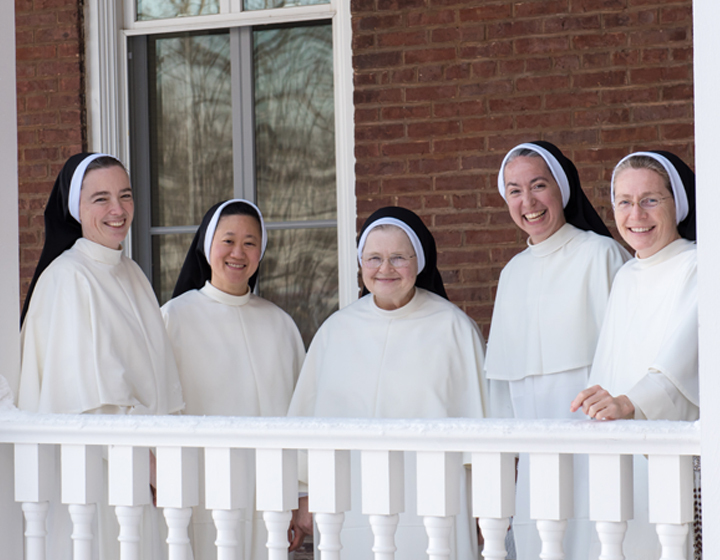 As daughters of the Church and in devotion to her, our intent is to be faithful to her teachings and to lead a life of zeal, engaging in apostolic activity penetrated by a religious spirit. We live for the Church and by serving her we enter into the mystery of Christ. For the latest articles, photos, videos, and music, check out our galleries and libraries. 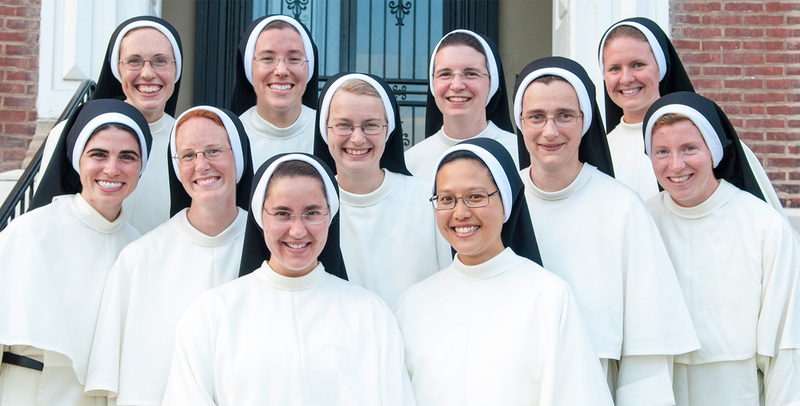 The Congregation is blessed with many religious vocations. 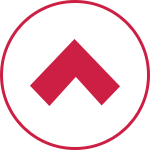 This growth has also allowed us to broaden our educational apostolate, reaching thousands more students and families with the message of Christ. This same growth has prompted the Congregation to look at current and future needs. 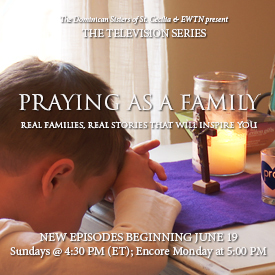 Join the Nashville Dominicans and EWTN in a new television series as we visit with families just like yours who have made Christ the center of their lives. Share in their struggles and sorrows, their joy and laughter, and the faith that makes all things possible. Be inspired. Be strengthened as a family.